"It's no secret that's known to three" as the old saying has it. 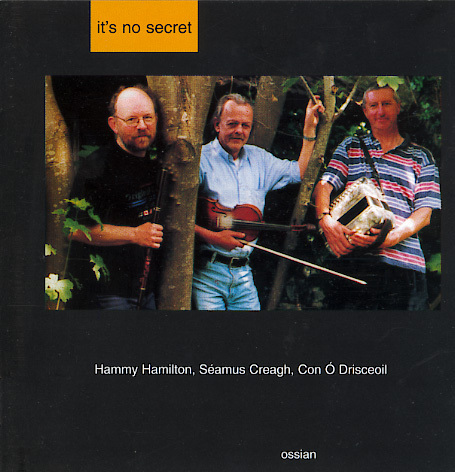 This collection teases out the musical secrets of three of Ireland's finest traditional musicians, Seamus Creagh, Con 'Fada' Ó Drisceoil and Hammy Hamilton have been part of the tradition for many years. Although they were born in different parts of Ireland-Hammy in the far North, Seamus in the midlands, Con in the deep South- they share common elements. All three have settled away from their place of birth; all are well known as instrumentalists; each is also a singer. On this album, Seamus, Con, and Hammy prove themselves as solo players, but they also interact as duets and trios. Just as each plays a different instrument, each takes a different approach to the singing of songs. Con writes his own songs, usually in a less than seriouis vein. Seamus has made something of a speciality of songs in praise of place, but also includes in his repertoire humorous songs such as The Milltown Cockroach ( another of Con's compositions) and The Waterford Boys. 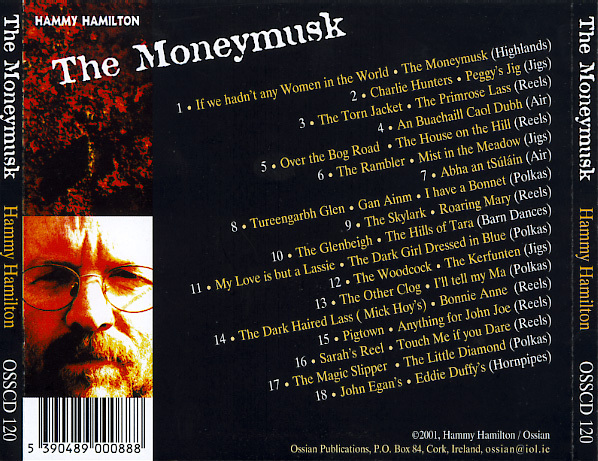 Hammy focuses on the resonant songs of his native ulster. Although this is their first album together, there are countless connections. All three played in the legendary Phoenix Bar on Union Quay in Cork City during the remarkable traditional music renaiassance of the 1970s, and were a central part of the Phoenix Ceili Band in the early 1980s. Con and Hammy were both members of The Irish Parlour Trio, with Hammy and Paul McGrattan on flutes and Con on piano. Con's grey Paulo Soprani accordion is the instrument played by Jackie Daly on the landmark 1976 album with Seamus Creagh, so this recording marks something of a reunion for the box and fiddle. At the moment we only have full tracks ( large files) available to download. We hope to have much shorter sound samples available soon. There was a great flowering of traditional music all over Ireland in the 1970s and this was no less the case in Belfast where many young flute players such as Dessie Wilkinson, Frankie Kennedy, Gary Hastings, Gerry O'Donnell, Tara Bingham and Hammy Hamilton were developing under the influence of older msucians in the city such as Tommy Gunne, and inspired by players such as Cathal MacConnell. 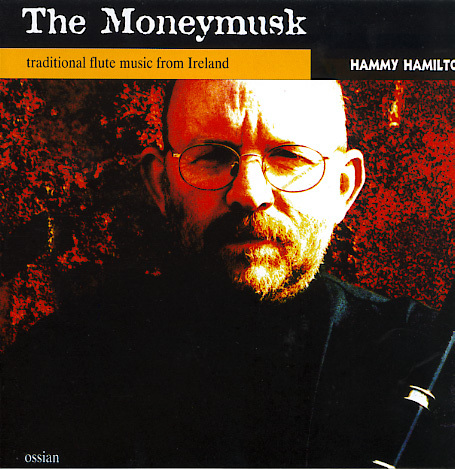 In 1976 Hammy Hamilton came to Cork, then also a vibrant city for traditional music. Moving to West Cork a few years later he was influenced by the strong Sliabh Luachra tradition. He is joined on this recording by Connie Connell, a fiddle player who needs no introduction to traditional music enthusiasts, Peadar Ó Riada on concertina, Eoin O'Neill on bouzouki, Paul McGrattan on flute, Con Ó Drisceoil on piano, and Tom Stephens on guitar.